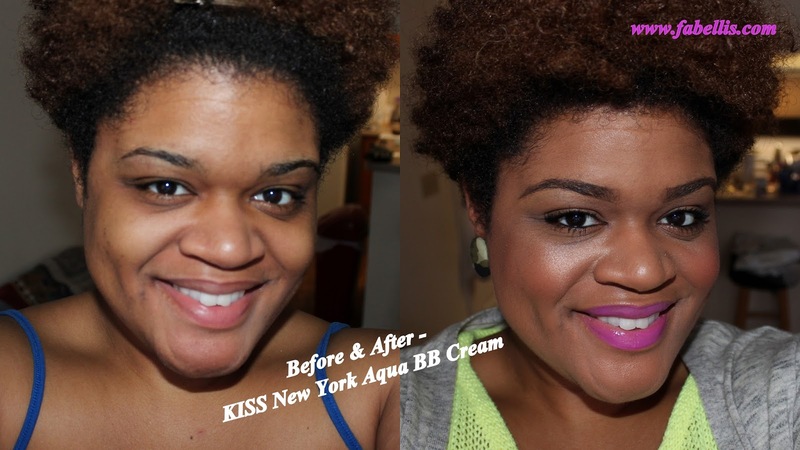 Over the past few months, I have seen people online rave about the KISS New York Aqua BB Cream. In the beginning, I was skeptical because when all of the craze surrounding BB creams began to surface awhile ago, I could never find a cream that was suitable for my oily skin or skin tone. After seeing tons of reviews, including my friend Brilliance of B's review, I knew I had to try it. I finally tracked the product down at my local beauty supply store. After posting this photo on Instagram and using the BB Cream for nearly a month, I can say... It's the bomb! It's the BEST BB cream I have ever used. Did you enjoy this video? Please like and share here. To locate KISS products in your area, click here. 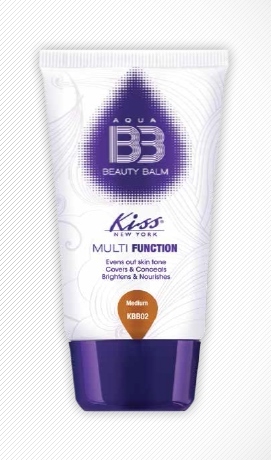 Have you tried the KISS Aqua BB Cream? What is your favorite BB Cream? Your skin looks amazing first of all. Second what is BB cream? I have combo skin, so I'm wondering if this would work for my skin type? I would love to try this. Your skin looks amazing. Im so on the go that I rarealy ever have time to put on a full face that BB CREAM might be in the horizon for me as well. I have normal skin though. Yes I agree with Kim. Your skin is flawless. 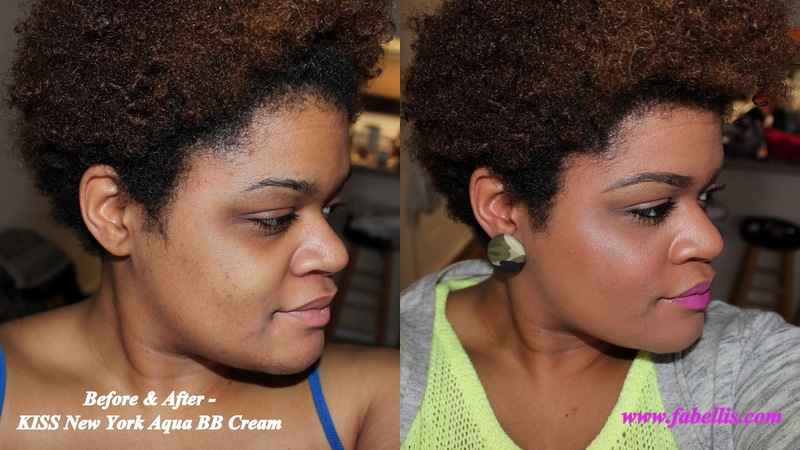 The BB cream provides great coverage, but has become an everyday staple. I only with they have more colors and hues for brown skin. Thanks for the shoutout again! I'm just running out of mine and need to re-up! Thanks so much Kimberly! I know we discussed it yesterday, but a BB Cream is like a nutrient-rich version of a tinted moisturizer. I also have combination skin and this has worked great for me. I start by washing my face with Neutrogena Pore Refining Cleanser, then their Toner and moisturizer. I put on a primer and then the BB Cream. It sounds like a lot but this whole process takes less than five minutes. It lasts me all day. I love it! Thanks Dea! Even with normal skin, this would be perfect for you because it's moisturizing. Plus, you would have less steps that me (I put on primer first). You could just throw this on after your regular moisturizer and be out the door. I really appreciate you commenting! Thanks Arsha! I'm totally with you on more colors. I wish everyone could use it! Thanks for stopping by! No problem! Thank you for posting that bomb review! How long did your container last you? Thank you so much Tomes! I think this would be perfect for her Demetra! It would give her a smooth, even complexion that she wants without the makeup look. Hope she likes it! LMBO! I have combination skin as well and it works great for me. I just make sure to add a primer first. Thank you so much Courtney! Ohh BB Cream is Huge in South Korea where I lived teaching abroad awhile. Nice recommendation. I need to read more carefully. I definitely did not see the locator link lol. I have been all over greensboro looking for this product not realizing that it was literally in my backyard. I really want to try it. I've seen nothing but positive reviews and awesome demos on youtube. I plan on buying some tomorrow. haha, I have never heard you talk! I don't know what I expected but that's not a bad thing! You sound so cute and southern! I like the bb cream though, I want to give it a try since I've never used any bb, or cc, or dd creams -_- .